Stroke is a leading cause of disability in the United States. Physical therapists are key members of the treatment team and can help people recover their functional abilities after having a stroke. This course will discuss the principles of neuroplasticity, motor learning, and evidence-based physical therapy intervention strategies that can improve recovery post-stroke. Functional outcome measures, goal setting guidelines, and documentation will also be discussed. The primary goal of this course is to help physical therapists improve outcomes for stroke rehabilitation. This course has been approved by the Kansas Physical Therapy Association. Approval #: . This activity is approved for 1.00 contact hours. This course has been approved by the Alabama State Board of Occupational Therapy for 1.00 contact hours, approval number 20-605671. 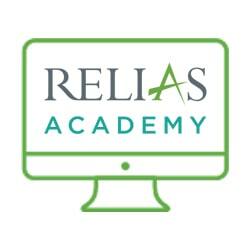 Relias Learning is an approved provider of continuing education courses by the American Occupational Therapy Association. The assignment of AOTA CEUs does not imply endorsement of specific course content, products, or clinical procedures by AOTA. Category 1 and 2. This activity is approved for 1.00 contact hours. This course has been approved by the Florida Board of Occupational Therapy for 1.00 contact hours, approval number 20-605671. This course is approved by the Ohio Physical Therapy Association, approval number 18S0658. This activity is approved for 1.00 contact hours. Oklahoma Physical Therapy Advisory Committee has approved this course under Category B. Approval # 201911330. This activity is approved for 1.00 contact hours. This course is approved by the Ohio Physical Therapy Association, approval number 19S0033. This activity is approved for 1.00 contact hours. This course has been approved by the West Virginia Board of Physical Therapy, approval code REL-R19-30. Approval of this course does not necessarily imply that the WV Board of Physical Therapy supports the views of the presenter or sponsor. This activity is approved for 1.00 contact hours. Identify at least 3 functional deficits that may result from a stroke. Select at least 1 evidence-based outcome measure to evaluate a stroke patient in each of the following settings: acute care, inpatient rehab, and outpatient rehab. Explain at least 2 principle concepts of neuroplasticity and motor learning that can contribute to stroke recovery. Describe at least 3 treatment strategies the physical therapist can use during stroke rehabilitation. Name at least 2 guidelines to improve goal setting during stroke rehabilitation. Discuss at least 2 best practices for documentation during stroke rehabilitation. The target audience for this course is: intermediate level Physical Therapists; in the following settings: Rehabilitation Settings.